14th century. The Papacy has moved to Avignon, France, and Rome is left abandoned. Europe is scourged by the Hundred Years War between France and England, and by the terrible Back Plague. 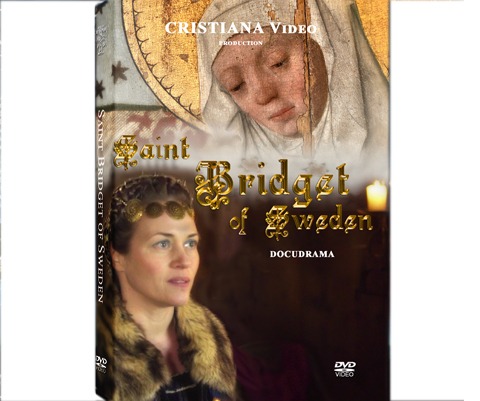 In opposition to the diffused vision of the Middle Ages as a time when women were oppressed, princess Bridget of Sweden becomes one of the points of reference for the Christian world. Anchored by the love for Christ Crucified and His Church, Bridget calls everyone to a deep conversion, even challenging Popes and kings. This docufiction is enriched with gorgeous images of Medieval Sacred Art from the Swedish History Museum of Stockholm, which escaped the Protestant iconoclasm. It presents the life of this prophetess and mystic from the North beginning from her childhood and leading up to her last pilgrimage to the Holy Land and her death in Rome (1373), the “city whose streets are colored with the blood of Martyrs and paved with the bones of Saints”. Bridget's mysticism and the core of her calling to be a bearer of divine messages for humanity are explored and enlightened in the interviews to Alessandra Bartolomei, professor in Medieval women mystics at the Gregorian University, and to prof. Denis Searby from Stockholm University, who first translated the books of the Celestial Revelations of st. Bridget into English. In 1999 st. John Paul II proclaimed Bridget Patron Saint of Europe.